"My friend's father, who is from India, showed me how to make this! It's delicious! 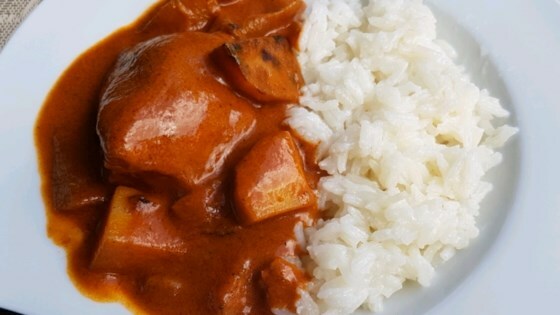 Serve with hot cooked rice and veggies if desired; make sure that you do NOT eat the cloves, the flavor is too strong!" I LOVE this recipe! One of the best dishes I've made. I used powdered spices instead of whole spices. I cut the chicken thighs into bite sized pieces.